Making your own butter is way simpler than you've ever imagined. But, if you're not up for making homemade butter, you can always dress up regular old butter yourself! My favorite dressed up butter is berry butter! It's so simple and easy, but is also incredibly beautiful and adds an adorable sweetness to your Sunday morning french toast! I love using raspberries and blueberries because the butter almost turns a beautiful purple color, but you can use blackberries or strawberries too! Just make sure to chop the strawberries before adding them to the butter! It's also fabulous on homemade flaky buttermilk biscuits, hot and fluffy pancakes, or simple toast! The honey adds a little sweetness to the butter, but it can easily be left out if you find maple syrup is plenty sweet enough! There are many other fancy butter options you can make at home! Try using brown sugar and cinnamon, or orange and honey. You can also make savory butters with garlic and fresh herbs. Simply use the instructions below and replace the berries with the seasonings of your choice! 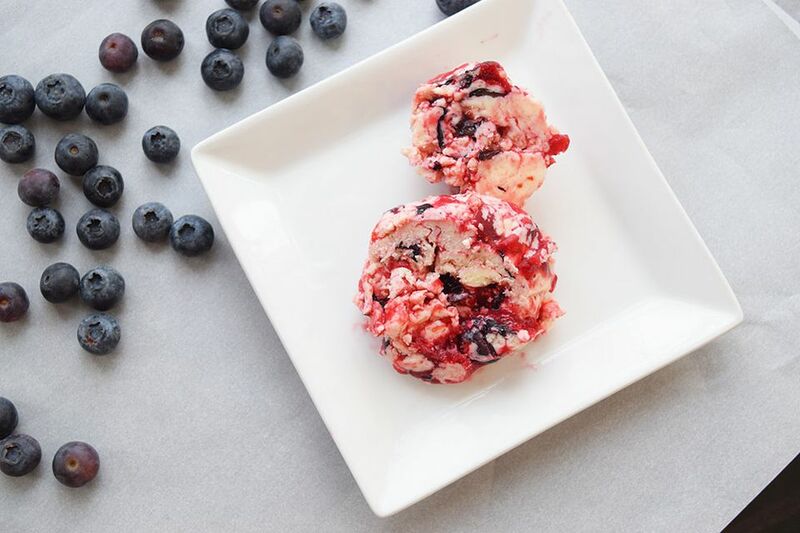 Berry butter is a beautiful addition to your weekend brunches and is sure to impress! Beat the softened butter with the honey using a whisk attachment on your stand mixer or using a hand mixer. Add in the berries and blend with the paddle attachment of your stand mixer. Be careful not to over beat the berries, so they still hold some of their shape and you will be able to identify the butter as butter. Spoon the butter down the center of a large piece of plastic wrap. Roll the butter in the wrap, twisting the ends tightly to create an even roll. You can then wrap aluminum foil around the butter roll too, twisting the ends of the foil like a candy wrapper to make sure you have a tight and even roll. Freeze for at least 1 hour or refrigerate for 4 hours to set the butter into its nice log shape. Slice the butter and serve on top of your favorite breakfast foods!